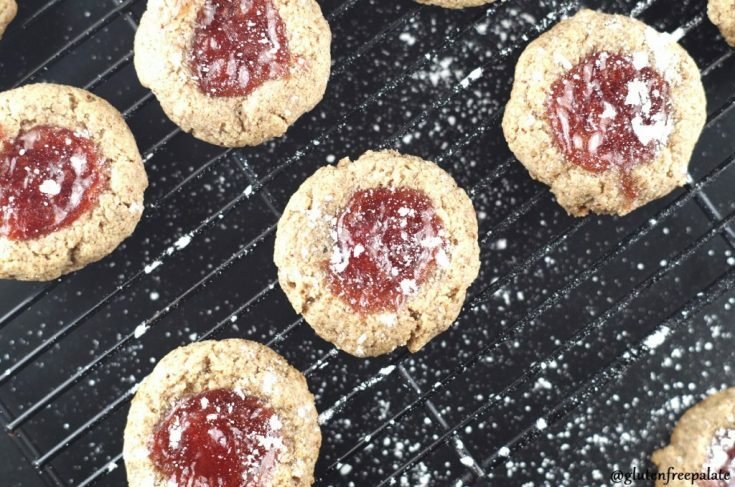 Enjoy these gluten-free, grain-free, dairy-free strawberry thumbprint cookies any time of the year. Who knew a thumbprint cookie could be this good for you and still taste amazing. 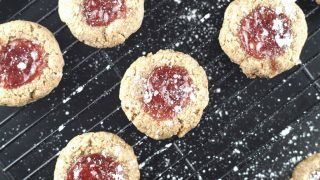 Thumbprint cookies are traditionally a buttery shortbread-like cookie rolled in finely chopped nuts and filled with jam or preserves. My mother made shortbread cookies between Thanksgiving and Christmas and I’ve been known to make them during the spring and summer months as well. Both my daughters are gluten-free and one of them also dairy-free. Up until a few months ago my girls hadn’t had the pleasure of trying thumbprint cookies. I really felt like they were missing out and I want them to have the opportunity to enjoy all the traditional treats I had growing up. 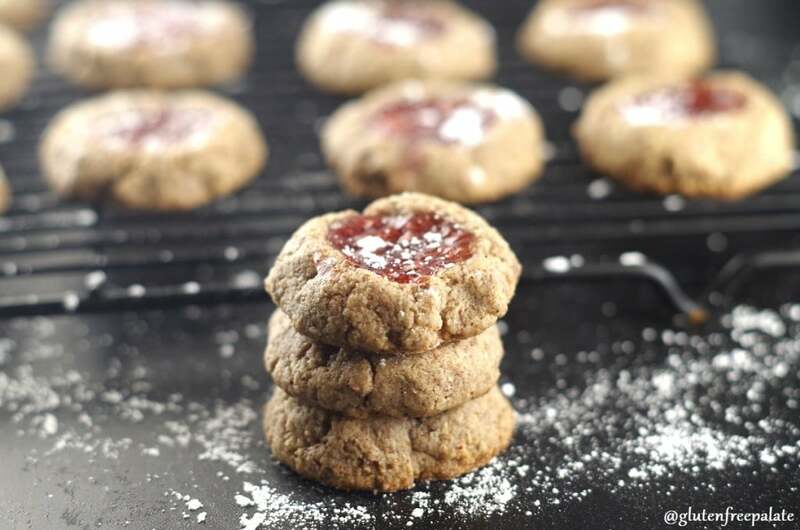 The base for this Strawberry Thumbprint recipe actually comes from another recipe I created – Chocolate Thumbprint Cookies. They were such a hit, and so easy to make, I decided to use the same base ingredients for this cookie recipe. You can use no-sugar-added strawberry preserves to keep these refined-sugar-free as well (a Paleo option). This recipe is loaded with healthy fats and full bodied flavors. The combination of the pecans, maple syrup, and strawberry preserves reminds me of a PB&J (peanut butter and jelly sandwich) on whole wheat, a childhood favorite of mine that I still enjoy, just on gluten-free bread. If you are looking for more grain-free recipes, these Paleo Lemon Bars from Food Faith Fitness are super scrumptious and tangy. Place the pecans in a food processor and processes for 1-2 minutes or until the pecans start to turn to butter. You should see the pecans near the bottom of the processor turn to pecan “butter”. The pecans at the top of the processor should resemble pecan meal or pecan flour. Add the maple syrup, baking powder, and salt. Process for an additional 20-30 seconds or until your dough forms a ball. Using a cookie scoop (or a tablespoon), scoop out cookie dough balls approximately 1 inch thick. Place them on your parchment lined cookie sheet 2 inches apart. Press the center with your thumb, or the back of a spoon, until you make a small crater. Place 1/2 teaspoon of strawberry preserves in the center of each cookie crater. I just adore thumbprints!!! Strawberry jam and pecans…that’s a lovely flavor combo! They remind me of a PB&J sandwich! I just love them. I love that these are so simple yet a special treat! I look forward to trying them soon! 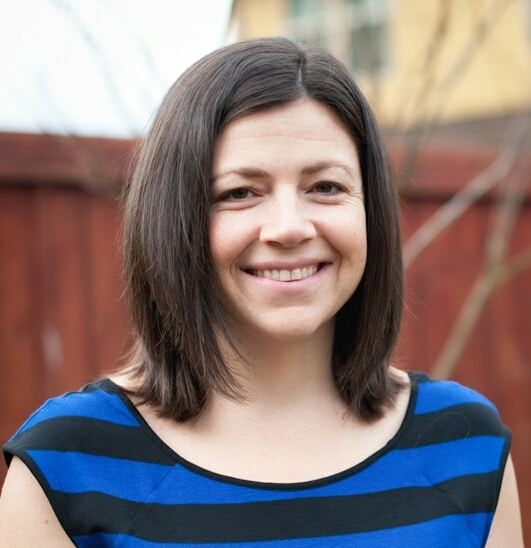 Thank you Dr. Jennifer! They are a wonderful treat. I bet the pecans give this the best taste. I love pecans and miss them terribly since my sons’ nut allergy diagnosis. Enjoy these for me! MMMmmmmm! I love pecan ANYTHING! These cookies look like a brilliant use of yummy pecans! Thanks for sharing! YAY! A grain-free recipe that even Erica can make and I have the ingredients on hand! Yay! You will love these! These look absolutely perfect! I love making thumbprint cookies because they were my grandpa’s favourite and I’m always reminded of him when I make them! I love the simplicity of these cookies. And pecans?!?! I can not wait to make them. Thank you Brianna! They remind me of a pb&j! I love thumbprint cookies! My family’s favorite is strawberry too. 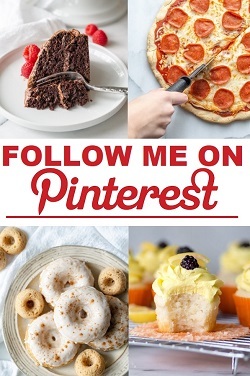 Thanks so much for sharing with us at Savoring Saturdays linky party! Hope you’ll join us again. Thank you Emily! Have a good week. Thumbprints? I can’t wait to make these and with the pecans I’m imagining a pecan sandies kind of taste. Yum. Thanks! They are super simple to make and they remind me of a PB&J! Allergic to pecans can I use Almonds? Almonds wont have enough fat/oil in them. You could try half walnuts, half macadamias or cashews. The natural oils in the pecans helps to create the texture and hold these cookies together. Could Almonds be subbed for the pecans? I haven’t tried it with almonds. If you try it, you’ll need to add a little bit of oil as pecan are higher in oil content. You could also try walnuts, they are higher in fat as well, but a little more acidic. Are these low carb? How many calories? 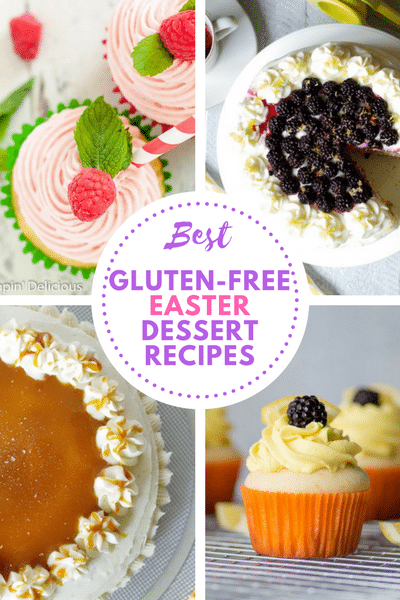 Unless you use a no sugar added jam, and a sugar free syrup, they are not low carb. I don’t know how many calories are in each cookie. It depends on the exact ingredients you end up using.